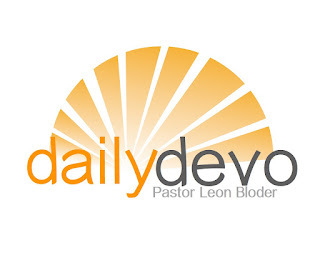 I have a confession I'd like to make in today's Daily Devo: I have a hard time asking for help. At some point in my life I fully embraced the old adage that "If you want something done right, you have to do it yourself." Recently, I've been spending a lot of time studying the Enneagram--a system of understanding the human psyche that can be traced back to the 4th century. I'm a "3" in the Enneagram, which means that my resistance to asking for help is pretty high. The truth is, in the case of Enneagram "3s" that old adage should be "If you want something done the way that you want it done, you will most likely do it yourself, especially if you don't want to appear like you're not capable." When it comes to matters of faith, however, what is true for the "3" is also true for so many of us. We have been told that in order to be a Jesus-follower we need to "get right with God," first. Or we come to believe that in order to be a "good" Christian we have to constantly be checking off the boxes on some spiritual checklist. Worse yet, many of us were taught that under no circumstances should we ever let doubt creep into our life of faith. We've come to believe that we have to appear to be capable and confident in our Christian life at all times. I think it's time for a change. That last line--so awesome, right? Listen God's grace is bigger than your perceived need to be right. God's mercy is greater than your desire to appear like you've got it all together. God's love is infinitely larger than your capacity to do whatever you mistakenly feel like you have to do all on your own. my brokenness utterly worthy of love.